This is the last or fourth set of MBTI letters, but definitely not the least. This letter determines how we deal with the outside world. It characterizes our expectations of others and our visible behaviors. It influences how others see us! If you don’t know your type, take this type test and remember your letters! Your fourth letter will be either a J or a P.
Js prefer a planned or orderly way of life, like to have things settled and organized, feel more comfortable when decisions are made, try to keep life under control as much as possible. But, this is the Js outer world. Their inside world may feel flexible and open to new information. Do not confuse Judging with judgmental (in its negative sense about people and events). They are not related. Js like to have things decided. Js appear to be task oriented. Js like to make lists of things to do. Js like to get their work done before playing. Js plan work to avoid rushing just before a deadline. Sometimes Js focus so much on the goal that they miss new information. Ps seem to prefer a flexible and spontaneous way of life and like to understand and adapt to the world rather than organize it. Others see Ps staying open to new experiences and information. This is the Ps outer world, but inside they may be full of plans and be quite decisive. Remember, in type language perceiving means “preferring to take in information.” It does not mean being “perceptive” in the sense of having quick and accurate perceptions about people and events. Ps like to stay open to respond to whatever happens. Ps appear to be loose and casual. They like to keep plans to a minimum. Ps like to approach work as play or mix work and play. Ps work in bursts of energy. Ps are stimulated by an approaching deadline. Sometimes Ps stay open to new information so long they miss making decisions when they are needed. Ps may resist time constraints. My boyfriend and I are both Ps, but we resist time constraints in very different ways. He (an ENTP) is not mindful of time and always tries to cram as many activities as possible into the hours or days ahead of us; he refuses to be bound by tactical reality of the clock. I resist making any plans at all; I want to reserve until the last minute my right to chose the best option. Js are more schedule oriented. My dad is a J – his calendar is always full for the next twelve months. He’ll change his plans, but he prefers not to. He’s always dependable. In general, Ps are drawn to novelty and variation; J types focus on conditions and directions. But these are traits most pronounced in the outside world. TJs may be very determined and task oriented at work but at home boundaries are not established. FPs may be highly flexible in social situations, but very strict in personal matters (this is sooo me – ISFP). This outer/inner division is very normal for all types. The political and social distinctions in our nation are often framed in terms of the polar distinctions within us. As are many personal relationships. We are often attracted to someone of the opposite J,P persuasion. Many popular movies and TV shows are written around a pair of characters that have an opposing J, P type category. 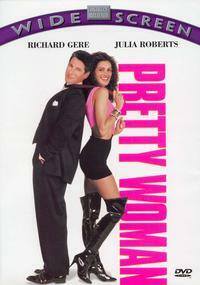 Pretty Woman: Richard Geer, a dominating J type, is attracted to a carefree P type, Julia Roberts. 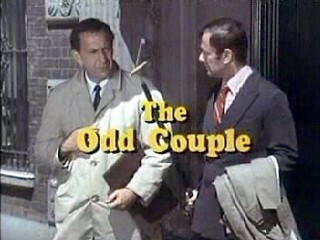 The Odd Couple is another excellent example of a polar relationship of P vs. J. Sure beats me how the test works in the first place but it does. I have taken it twice, each time with the same result. Thank you for expanding on the individual letters. Keep up the work! This is so amazing. The more I read about my type the more I’m amazed by the accuracy of this the MB personality type system. Most of these don’t seem to fit that well …but so far this has been right on. And you are so good and breaking it down and making it easy to understand. Thanks Debi! Once again I am amazed by these profiles (now I know how so-called “psychics” do it). I’m a P- always leaving things to the last minute, working under a deadline, hate to make plans. My husband is a J- first guy in our circle to get a blackberry (so he could be organized of course), always planning. Why do opposites often attract?